As designers of web applications, it’s vital that we understand and incorporate the user’s context when considering how to provide the best experience for them. Specifically, paying attention to the needs of your users and the context in which they live is the beginning of figuring out what content to serve up. 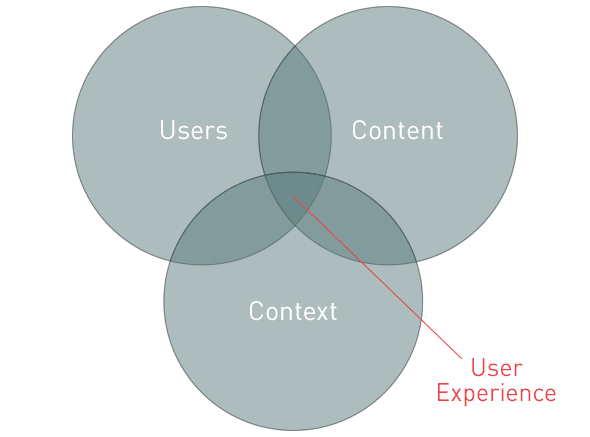 Peter Morville’s venn diagram of users, context, and content (below) is the best balance of user experience. Good information architecture is the vehicle to carry it out. It’s no longer good enough to just put any old information online and expect people to engage with it. As I said in my post on creating passionate users, good content requires careful consideration and preparation. And before good content can be provided, the user’s context must be established. Location — Where are they? In a car? On the street? At school? With friends? Timeframe — How long do they have to get something done? Are they on the highway, needing to find the next exit fast? Attitude/Emotions — How do they feel? Are they trying to find a service number to call after the car stalls on the highway? Did their favorite team just win the world series? Are they bored? Confused? Afraid? Social Situation — Are they with other people? Can they see what their friends are doing? Is “everybody else doing it,” and they feel left out? 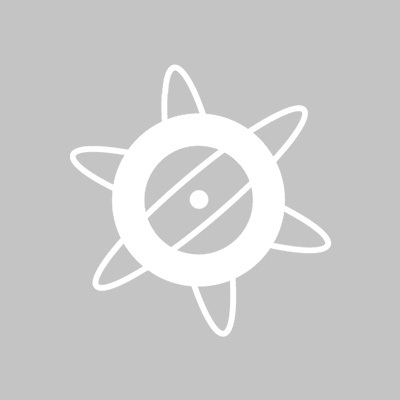 Technological Medium — What device are they using? A quirky, 3-year-old phone? A shared computer in the school library? Physical Limitations — Can they see very well? Is cell service available? Take the time to research your users so you understand what they want and how they feel. There’s no substitute for understanding their context. 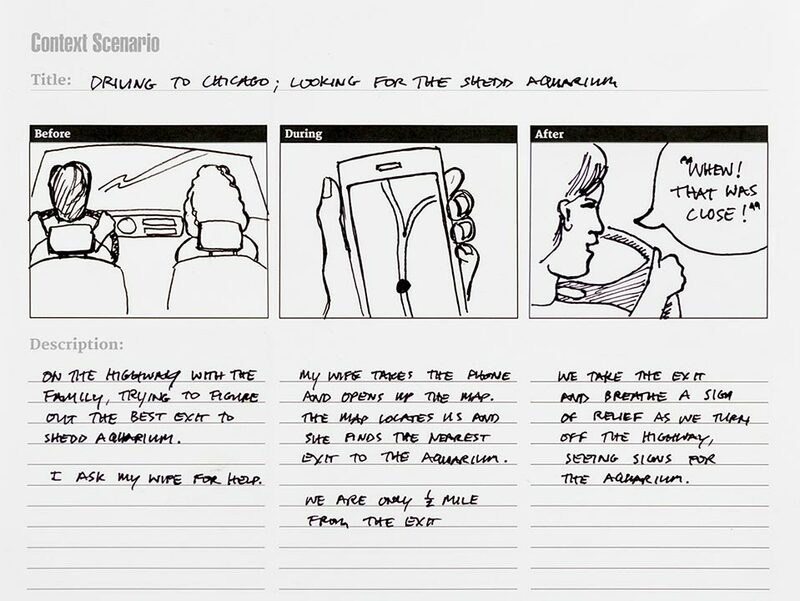 Now that you’ve considered the user’s context, start developing scenarios or stories to describe the real life situations users are in. Write your stories in three simple frames describing the user’s story: 1) before, 2) during, and 3) after engaging with your product. Keep these stories very brief. The context scenario should show a transformation that takes place by using the product. Combining simple descriptions with simple pictures will give enough detail to paint the picture. During: My wife turns on the phone and opens the map to find out where we are on in relation to the aquarium. Then she gets the details and notices we’re less than half a mile from the ______________ exit. After: We breathe a sigh of relief as we turn off the highway and see signs for the aquarium. Notice that the language I used is not specific to the interactions within the app. I didn’t use domain specific phrases like “pushes the locate button” to describe “finds out where we are” or “pinch zooms” to describe “getting the details”. Pushing buttons and zooming describe the how not the what. All you need to document at this level are high-level descriptions of the user’s context and what they are trying to accomplish. Worry about the specifics of how they do that later in the process. This simple exercise will provide a lot of insights as you determine the best experience to provide for the user to help them accomplish their goals. Understanding the context scenarios of the people using your product will directly impact what content and functionality you serve them.